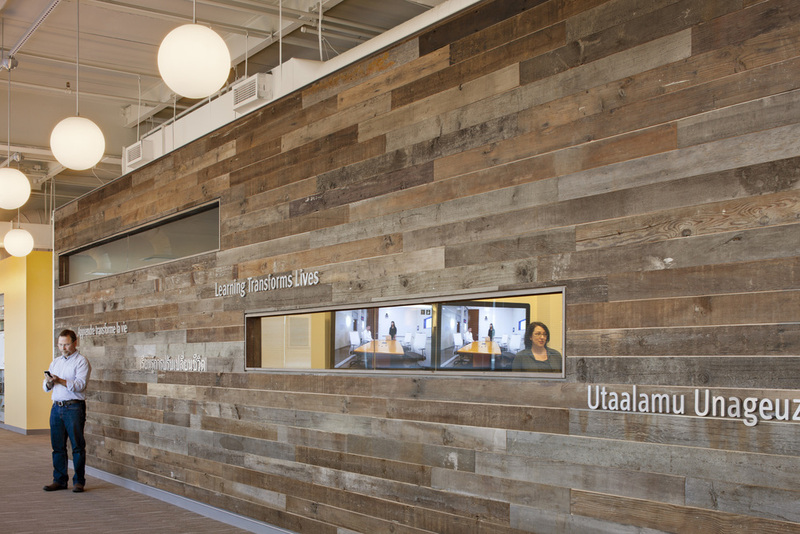 EDC, a not-for-profit educational "think tank," relocates its headquarters to reinforce collaboration and innovation among its staffers. 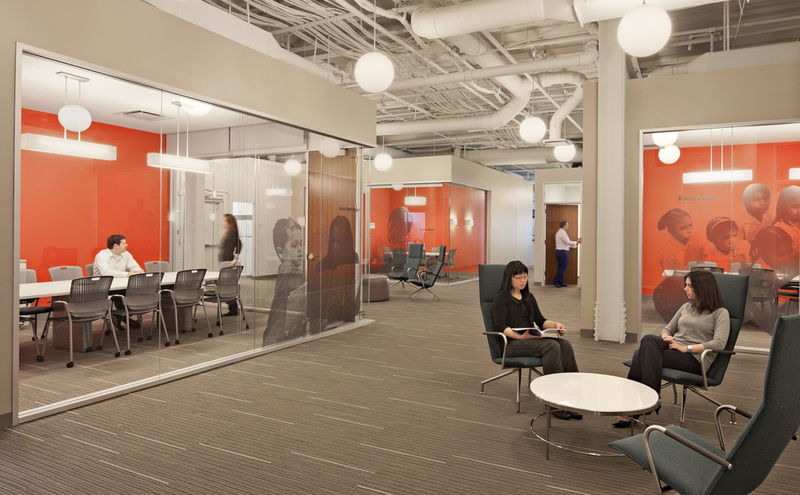 To foster idea pollination and design thinking across the organization, the large floor plates are blocked into team neighborhoods connected by figured circulation spaces, "Broadway" and "Piazza," lined with shared resources such as libraries, kitchens, and conference rooms. 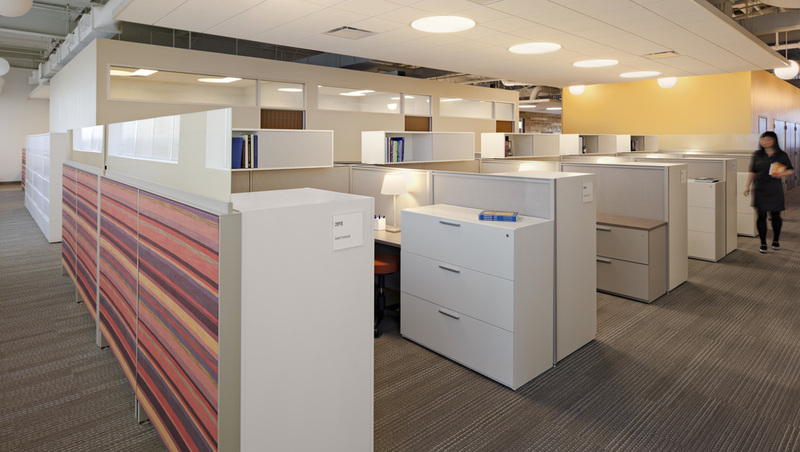 The workspace supports formal and informal teamwork with flexibility for evolving work groups. 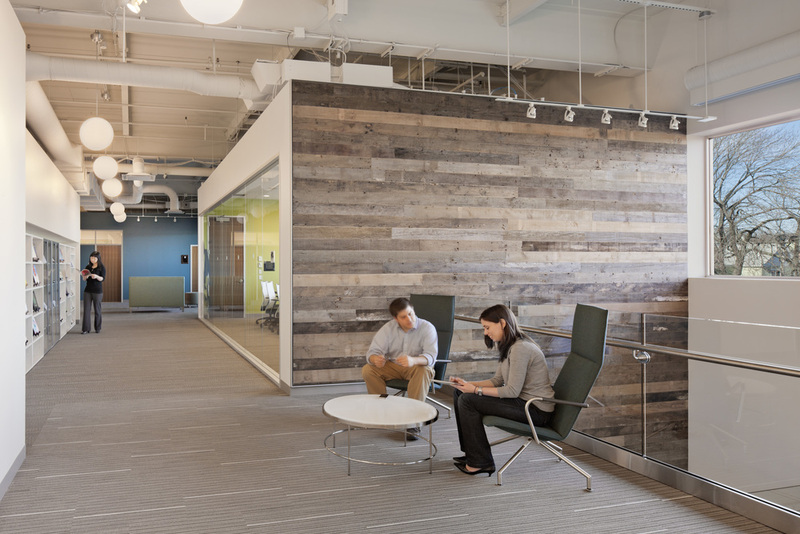 Paramount environmental concerns guide LEED-CI certifiable green workspace, emphasizing daylight, transparency, and indoor air quality. "The long and short of it is the design was superb and we continue to get rave reviews from visitors. Among many other things, "Broadway" and "Piazza" work exceptionally well." Copyright: 2018 © Taylor & Burns, Inc. All rights reserved.